I discovered another queer with impeccable style. Like, why isn’t she on the cover of the queer equivalent of GQ? (I know there are queer magazines, but the photo style reminds me a lot of the features GQ puts out. Also, GQ is always my shorthand for gender queer, which makes me laugh.) 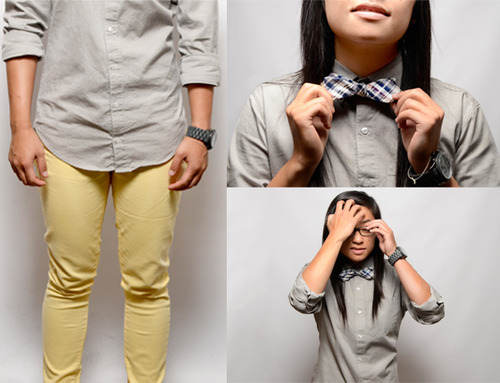 The type of bow tie she’s wearing is a lot slimmer. Good style to try out, because wide ones can look a little goofy sometimes.